There is no more all-encompassing source of mystery than the universe. Since the dawn of humanity, its vastness has elicited endless wonder and questions that have consumed mankind's intellect and imagination. 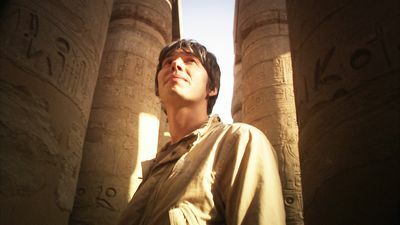 This summer, SCIENCE welcomes back Professor Brian Cox, the physicist whom the Los Angeles Times affectionately calls "the nerd who is cooler than you," for the four-part series WONDERS OF THE UNIVERSE. Expanding on the promise of 2010's Peabody Award-winning WONDERS OF THE SOLAR SYSTEM, Cox takes viewers even farther to explore how deep space can be explained- and even experienced-by re-examining the familiar here on Earth. WONDERS OF THE UNIVERSE kicks off on Wednesday, July 27, at 9 PM (ET/PT), with new episodes airing over four consecutive weeks. "It is our mission at SCIENCE to provoke our viewers to think about the world beyond their home-and in this case, the universe beyond their world," said Debbie Adler Myers, general manager and executive vice president of SCIENCE. 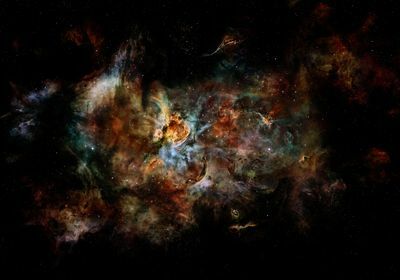 "WONDERS OF THE UNIVERSE offers our audience the closest possible experience to an actual tour of the cosmos-and there is no better guide to take them on this journey than Brian Cox. Viewers are bound to fall in love with his rock star charm and infectious enthusiasm-he's a force of nature." 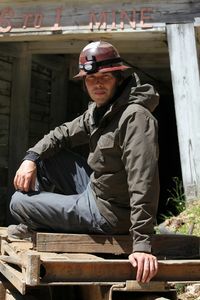 Named one of People Magazine's "Sexiest Men Alive" in December 2008, Cox is the definition of a renaissance man. A former keyboard player in the UK pop band D:Ream, Cox is a noted physicist who transforms cutting-edge science and astronomy into accessible information that is as digestible as it is fascinating. As a companion to the series, Harper Collins will release Cox's gorgeously illustrated # 1 London Times-best-selling companion book, "Wonders of the Universe" (Harper Design; Hardcover; July 12, 2011; $29.99), in the United States. Cox describes the cosmos as "unlikely" because he believes that it is only through remarkable balance and cosmic engineering that it is able to exist at all. 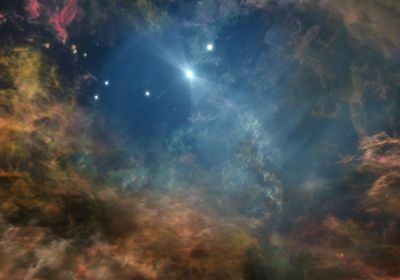 In the all-new season of WONDERS OF THE UNIVERSE, Cox illustrates how the same physical laws that describe the behavior of light, gravity, time, matter and energy here on Earth can explain the qualities of the greater universe. Traveling to the deserts of Namibia, Cox demonstrates how the universe continues to become increasingly disordered and how ultimately there will be no stars, planets or galaxies left in the cosmos. Later, he journeys to a deserted prison in Rio de Janeiro to explain how the chemical elements were made in the hearts of stars, and also shows viewers how the water of the Victoria Falls in Zambia behaves the way light does around a black hole. Forged deep in the hearts of stars, the untold trillions of atoms that make up each of us link together to tell the story of the universe's origin. 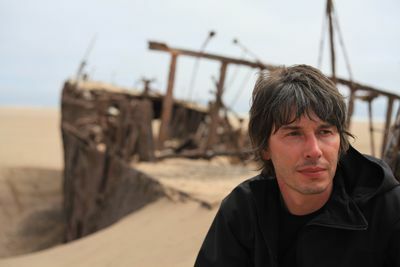 Professor Brian Cox searches for humanity's very essence by asking the biggest questions of all: What are we, and where do we come from? This is the story of matter-the substance that makes up everyone and everything in the universe. Using physics and cosmology, Cox explores life's beginnings by looking deep into space at the process of stellar evolution. In Kathmandu, on the banks of the Bagmati River, he relates the Hindu belief in an eternal cycle of creation and destruction, in which all physical elements of the body are endlessly recycled. Hinduism, like many ancient belief systems, touches on a deeper truth about the universe. Our cosmos is governed by an eternal sequence of life and death. Every atom in our bodies was, at some point in the past, a part of something else. Inside an abandoned Rio prison, Cox explains how the 92 elements that make up all life on Earth were created by the lives and eventual deaths of distant stars. In this episode, Cox seeks to understand the nature of time and its role in creating both the universe and ourselves. From an extraordinary calendar built into the landscape of Peru to the beaches of Costa Rica, he explores the cycles of time which define our experiences, quickly discovering that even our most epic ideas disappear in the vast expanse of cosmic time. Ultimately, Cox discovers that time is characterized not by repetition, but by irreversible change. From the relentless march of a glacier to the decay of an old mining town, the ravaging effects of time are all around us. As we look farther out across the cosmos, we envision the story of universal evolution concluding with the eventual disintegration of all matter. This journey from birth to death must inevitably lead to the destruction not just of our planet, but of the entire universe, and with it the end of time itself. Yet, without this progression toward the end of time, the universe would be without what is perhaps the greatest wonder of all-the briefest moment in which life can exist. Gravity is the great orchestrator of the cosmos. It dictates our orbit around the sun, our relationship with the other planets in the solar system and even the shape of our universe. In this episode, Cox explains how gravity is responsible for the Earth's relationship with the moon, and why we see only one side of our closest neighbor. At Chaco Canyon in New Mexico, Cox tells one of his favorite stories. 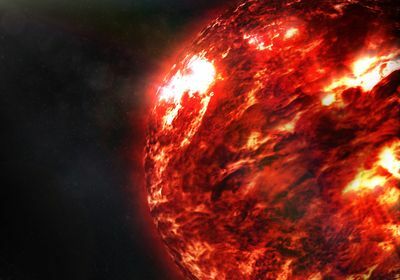 Almost 1,000 years ago, the Chacoan people saw and recorded one of the most spectacular events in the cosmos-the violent death of a massive star. Today, we can still see the remains of that explosion-a vast, expanding cloud of stellar debris we call the Crab Nebula. 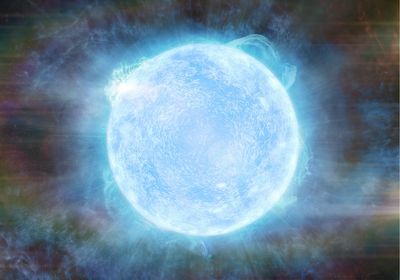 At its heart is one of the most extraordinary phenomena in the universe-a neutron star. Just a few miles across, neutron stars are so dense that their gravity is one hundred thousand, million times what's found on Earth. Cox uses a dramatic waterfall to explain general relativity's most scary prediction-areas where the laws of nature as we understand them break down. 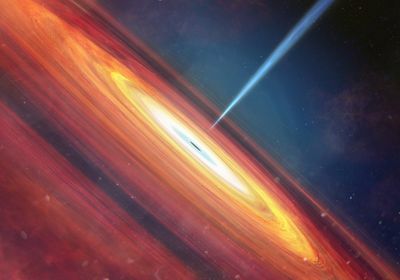 Just as the water of a river flows at different speeds as it edges closer to the brink of the waterfall, space and time speed up as they approach the center of a black hole. Ironically, it is the very incompleteness of Einstein's theory of gravity that inspires Cox's own sense of wonder, underscoring the continuing challenges of unraveling the universe's mysteries. In the last episode of his epic journey, Cox travels from the Burgess Shale to the sands of the oldest desert in the world to show how light holds the key to our understanding of the universe. At one of the most magnificent archaeological sites in the world, Cox watches the sun rise during the winter solstice, and demonstrates how the same properties of light that color desert sands and the hues of a rainbow also provide unique insights into the history and evolution of the universe. Then, by breaking the sound barrier in a fighter jet, he explains how the speed of light allows us to measure distance and time. Finally, with fossils that date back to the Cambrian explosion, he considers how the secrets of light could easily have remained hidden forever if not for the development of eyes. Without adaptations from our distant ancestors some 500 million years ago, we would be unable to observe, capture and contemplate the incredible wonders of the universe that we inhabit.